The UK Government recently received an e-petition to make St Davids Day a public holiday in Wales. It was one of the most popular petitions received, with over 11,000 signatures, but despite this display of popular support, and the previous overwhelming support from the Senedd, London has decided that we can not be trusted to run our own internal affairs. The Government receives a variety of suggestions for new or different Bank Holidays and celebrations. Whilst the Government is pleased that so many people are interested, as you can imagine it is not possible to please everyone as to who or what should be celebrated. Unlike Northern Ireland, where St Patrick's Day is a bank holiday, bank and public holidays in Great Britain do not, by tradition commemorate particular individuals, events, or institutions, other than those associated with Christmas and Easter. Moreover, many individuals and communities in Wales already celebrate St David's Day in a way they consider more suitable. The present pattern of bank holidays in the United Kingdom is well established and accepted, and the Government has no current plans to change the arrangements. I hope that this is helpful. Well actually it is quite helpful - every time that London resists popular change, they hasten the day when we finally achieve independence. A superb video promoting Scottish Independence produced for the Scottish Independence Guide website. In 2006, the National Debt of the UK was £461.5 Billion, equivalent to £7,692 per head of population, or more realistically £16,193 per working population. As Wales is effectively a 5% shareholder in the UK, we would become liable for our fair share of this debt following independence, but what constitutes ‘fair’ ? This is effectively a piece of international divorce law which lays down guidelines for who gets what in the event of a countries breakup, and would be directly applicable to Wales. The first part of this Convention says that an independent Wales would receive any immovable UK assets on Welsh soil, together with related movable assets, for example the DVLA building in Swansea, together with its computers, desks, cars etc. Wales would also be entitled to receive a proportion of the movable assets of the UK, in proportion to Wales’s contributions. If Wales has paid say 4% of the UK’s tax revenues, then we would be entitled to receive 4% of UK Gold Reserves, 4% of the British Army’s tanks etc. The Convention states explicitly that these assets are transferred without compensation – we have already paid for them. Now for practical and political reasons, the UK is not going to give Wales 4% of the Trident submarine fleet (currently valued at £76 Billion) even though we would be entitled to our share, so it would need to come up with some form of alternative compensation. The state debt of the predecessor state (UK) shall pass to the successor state (Wales) in an equitable proportion, taking into account in particular the property, rights & interests which pass to the successor state in relation to that state debt. In practice this means that if the UK was only to transfer say 3% of state assets to Wales, then we could expect to only take over a corresponding amount of debt. This would result in an overall reduction in the National Debt per head of population for Wales, with a small increase for England. This is only a statistic, but the real benefit would be in the reduced interest payments on this debt, which will have to be funded from the Welsh budget. In his new book 'Neighbours from Hell? 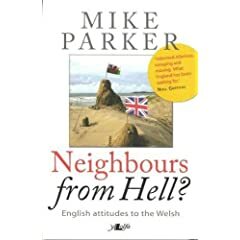 ', Mike Parker - an Englishman who has made Wales his home - disagrees with the tired old argument that Wales, as part of the UK, gets much more than her fair share of money, and that the economy would collapse if Wales gained independence. The central thrust is always the same: that Wales (and Scotland) get way more than their fair share of money and power, and that the poor 'taxpayers of England are forever giving hand-outs to the other parts of. the UK. Some more rabid commentators take their thoughts further and regularly describe Wales as the 'Albania of the British Isles' (or of Western Europe), and declare that the Welsh economy would collapse without the munificence of the English tax-payer. The figures show that the Wales-to-UK proportion in population, public expenditure and tax revenue are all fairly close, and that Wales, despite being one of the hardest-hit areas in western Europe, receives considerably less per capita than Scotland, Northern Ireland, or parts of England. In a way, however, that's not the point. Although the foaming-at-the-mouth English nationalists, who stalk the internet and are for ever ranting on radio phone-ins, would like to believe the same old rubbish that has been spouted for most of the last two hundred years, it is patently untrue. Even in the current situation, in the aftermath of the swingeing destruction of Welsh heavy industry and with an economy that is relegated to the status of marginal there is much potential in Wales. It exports gas, oil and refined oil, electricity, food and many industrial components. There are thriving information technology, specialist research and cultural industries. Perhaps most importantly, every pundit is pointing to water becoming the essential commodity of the next few decades; something that Wales has been exporting in huge quantity for over a century now (interestingly, English consumers generally pay considerably less for Welsh water than do customers in Wales). Many valuable minerals still lie within the Welsh landscape. Wales has all the ingredients for a successful, integrated economy, and all the necessary enterprise to make it happen. Britain, like every other imperialist power involved, should do more than apologise for her role in the slave trade, as well as other atrocities committed by her Empire. Britain has a moral duty to atone fully for the appalling legacy of discrimination and social deprivation suffered by generations of Afro-Caribbean peoples. But for wannabe British Deputy Prime Minister Peter Hain to apologise, on behalf of Wales, for Wales’ role in this crime against humanity is misleading in the least. Yes, of course there were Welshmen – mostly Anglicised landowners – among those who had their dirty hands of greed at various levels of this evil trade, and there’s no denying our obligation to apologise for the actions of these leeches that our country unwittingly produced. But why should Wales as a country, nation and post-devolution proto-state, have to apologise for the actions of the British State? Politically, Wales did not exist at the time of the Slave Trade. Wales had no government or voice of her own, she was politically, administratively and constitutionally a part of England. No Welsh government caused, nor built its economy on the back of, this deliberate human misery. No Welsh Government conquered a fifth of the world and enslaved human beings to facilitate economic growth for its colonies and their Motherland. No, these heinous crimes were committed by Great Britain, a state that neither Wales nor her people had a democratic voice in its affairs, and a state that served no interest other than the landowning classes of the English/British State and its Crown. 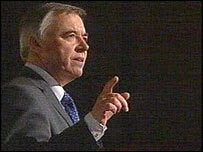 If anybody should speak for Wales it should be our democratically elected Assembly First Minister, not the Blair-appointed British Government Minister who, rather than apologise on our behalf for a crime we did not commit, should be apologising on behalf of the English/British state for dragging us into such a disgraceful state of affairs. 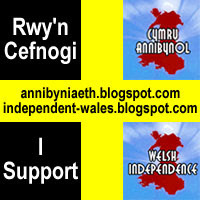 One of the issues that provokes a lot of discussion, is whether an independent Wales should become a republic. There are those who believe that Wales should remain in the Commonwealth with the Queen as the head of state – Australia is an independent country with this arrangement, so why not?. On the other hand, there are those who believe that the monarchy is an undemocratic anachronism which should have no part to play in an independent Wales. I also once heard a heated discussion as to whether the ‘Prince of Wales’ should be our head of state - but that would just be adding insult to injury! Maybe we should traces the bloodline of Llewelyn the Last and establish a new monarchy???? My personal opinion is that unelected aristocrats (particularly neighbouring foreign ones) have no place to play in a modern democracy, and we should follow the Irish model with an elected non-political president. The Queen (or King) of England would always be welcome in Wales and would then be treated with the same courtesy as any other visiting head of state. But as a believer in democracy, I would trust the people to decide, and this should be a matter for public debate followed by a referendum. This blog has already succeeded in raising the profile of the case for independence in a confident and credible way. That's to be welcomed. It's also encouraged Plaid Cymru, the only party that is pro-independence, to make its case more clearly - and that can only be a good thing. The pro-independence parties in Scotland - the SNP, the SSP and the Greens - have succeeeded in putting the issue at the top of the political agenda for the May elections. There are obvious reasons why that's the case there. Here in Wales we should be aiming to do the same thing within the next four years. The only way to do that is to campaign outside the Assembly as well as encourage politicians to make their views clear on the matter. But the key question we should also be asking is "what kind of independence?" This could be seen as "jumping the gun" somewhat but if we are to create a bandwagon of support among the people of Wales, then everyone has to understand that what we're after is not a slightly improved version of the current situation. An independent republic would not, to paraphrase the great James Connolly, be achieved merely by raising the Red Dragon and painting all the post boxes green. A free Wales should reflect the values of Welsh people - cooperation not the free market, care not warfare and putting people before profit. I want to see an independent socialist Wales where the wealth of the country is in the hands of 'y werin', the workers, where democracy means more than putting a cross in a box every four years for a variety of parties that say the same thing and where the environment is respected and sustained instead of being raped for capitalist profit. In the same way as I have faith in the people of Wales to have the ability to run their own country, I'm also confident that the workers of Wales can run our industries and services. While I welcome the support from politicians for the cause of independence, it will be the people from the grassroots who will make this velvet revolution. Today Ieuan Wyn Jones AM, Plaid Cymru’s leader and the leader of the Opposition in the National Assembly, explains why independence within the European Union is the long term constitutional aim of Plaid Cymru. I warmly welcome the opportunity to take part in the debate on the constitutional future of Wales. The needs of Wales as a nation are being addressed as never before in the run-up to the Welsh General election in May. Devolution, even in its current form, provides a forum for a debate on Welsh priorities in a Welsh context, but the powers are insufficient, and the leadership of Rhodri Morgan and his Labour administration is woeful. As a party that believes that Wales as a nation needs all the powers at its disposal to flourish, independence within the European Union is our long term constitutional aim. As well as improving the lives of the people of Wales, it is right that Wales joins the world community of nations. We have always adopted a step by step approach to constitutional change, and since sovereignty belongs to the people, a referendum will be held on every major change. The people of Wales have the final say on this. Our aim in the next four years is to demand a referendum on a proper Parliament so that we can have the right to legislate and vary taxes without having to get the consent of Westminster. We will be challenging the other parties to join us in this campaign. During this year's election campaign, the London-based parties will try to use independence as a political football to split the national movement. Our goal is clear, but out opponents will attempt to use it against us. This election gives us the opportunity to make a real difference and to help transform Wales. Plaid is the only party that truly has confidence in Wales and the people of Wales. Labour claim Wales is too small and insignificant to fight its corner on the international stage. Talking Wales down in such a way is patronising and demeaning. We must build the confidence of our nation and offer the people the Wales a change for the better. Together we can achieve this goal. Ieuan Wyn Jones AM is an Assembly Member for Ynys Môn, Plaid Cymru’s leader and the leader of the Opposition in the National Assembly. I fervently believe that we are capable of running our own affairs here in Wales – we are not somehow genetically enfeebled such that fate condemns us to be always dependant on England for all the important decisions. The people of Slovenia or Malta or Vanuatu and a myriad of other independent countries smaller than Wales do not think like this either. After all, the model of government that works round the globe is a proper parliament that can legislate and can vary taxation – rare are the popular peasant campaigns to continue being shackled by a powerless Assembly. It is National Freedom that inspires a people – that fulfils a yearning and in Wales, Plaid alone believes in that – in Wales as a Nation State. Others might be content with some sentimental, superficial Welshness and bow down before allegedly superior outside interests and talents that have pillaged our proud country repeatedly over the centuries. Others may forfeit a proud nation vision in favour of naked self-interest. Others, outside Plaid, are content with Wales as a region, yet Wales continues to be at the bottom of every league table for social, health and economic indicators – we have surely waited long enough for this unequal union of the United Kingdom to deliver for Wales? The tide of history in favour of a parliament for Wales is slowly flowing in Plaid Cymru’s favour. Only a parliament with legislative powers and tax varying capability can transform our economy, develop public health and education services, develop our own natural resources like water, and protect the people of Wales from a pro-nuclear London Government. That is why I campaign every day for Plaid Cymru, and my Wales will be free. In the modern world, no country is truly independent. We are all interdependent. The day of the large, stand alone, sovereign nation state is gone. At the present time, small countries within the European Union are forging ahead and Wales is being left behind, as a peripheral part of the UK, with poor public services and a poor infrastructure. Wales cannot afford not to have self government. The sooner we have a real government, the better. Only then can we begin to build a better future. SIR – So Peter Hain is churning out the same old cliches as a substitute for reasoned argument (Wales must stay in the UK, Jan 15). Does he really believe that Welsh people have no knowledge of how other small countries are prospering in the modern world? Does he believe that we never travel to Ireland or Norway or even to the newly independent European nations like the Baltic States?At least the Western Mail editorial comment was more balanced and rightly points out that as yet the Welsh people have not been persuaded on the case for independence. But isn’t this just a lack of confidence rather than the way things have to be? Surely the Welsh are no less talented than the Irish, Norwegians, Latvians and countless other small counties around the world. Mr Hain says that our world-class manufacturing such as Airbus would disappear. Try telling that to the Finns, Nokia seems to do OK. He says that our public services could not survive without that extra £1,000 a head from England, well New Zealand and Norway seem to have public services that we can only envy. And as for Mr Hain’s case that we would lose influence around the world; if that means we stop using our clout to launch illegal invasions of other counties, then great, I’ll sign up to that. I read somewhere that the sign of a good leader is someone who doesn’t need to turn around to see if he is being followed. What about the current Welsh leaders? Well I suggest that Ieuan Wyn Jones should put his jacket and tie on back to front, to disguise the fact that he is always looking over his shoulder. Peter Hain is a bit like the Pied Piper - not just his patchy coloured appearance - but he is determined to distract us and lure us away from our destination, and we would follow him at our peril. Nick Bourne or Michael German would need to hold-up an umbrella (like a London tour guide) if they just want anyone to recognise them, let alone follow them. So who are we left with?? Dafydd Wigley is one of the best leaders of his generation, but it is a huge shame that he is currently out of politics, and I can not see him getting back in May. Ron Davies is also unlikely to get elected in May, which will at least give him some more time badger-watching…. Carwyn Jones may be up to the task, but he will also struggle to get elected in May. That could leave the leadership of Welsh Labour open for the charisma-void Andrew Davies - except that he will also struggle to get reelected – which would leave…………. well nobody in particular. Wanted – National Leader – with the courage, confidence and conviction to be able to lead an underperforming nation out from under the heel of its dominant colonial neighbour. 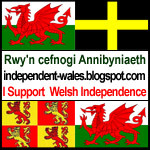 Today its the turn of Allan Pritchard, Shadow Deputy Leader of Caerphilly Council and Plaid Cymru Welsh Assembly Candidate for Islwyn, to explain why he supports Independence for Wales. As I respond to your request, I look above my desk and see a portrait face of Gwynfor Evans looking down on me and on my desk is a photograph of Martin Luther King. This should indicate to the people of Wales the type of Nationalist and Internationalist that I am. I want to live in and help build a Wales that is free and able to take its rightful part in Europe and the rest of the world. I want to see a Wales that has its own Parliament and a democratic system that is truly accountable to all of the people of Wales. A Wales that is free from the shackles and threats of bulling superpowers, who threaten and invade other countries illegally and in our name. I want to live in a country that encompasses peace and prosperity and a country that we will be proud to pass on to our children and our children's children. A country that is founded on socialist principles where education and health are there as a right and not dependent on the thickness of the wallet. I believe that the time is right to open the doors of opportunity to all the people of Wales, to lift our nation from the social injustices that we have faced for far to long and place ourselves on the solid foundation of nationhood in our own right. If Scotland has laid the doors of Parliament open, then it surely makes sense for Wales to grasp the same opportunity. It is not so long ago that the establishment threatened us by saying that if we went down the road of independence, we would wind up like Ireland (Eire). They never use that as a threat any more, I wonder why?